Bali is a living postcard. Known as the Land of the Gods, it draws tourists from all around the world with its lush terraced rice fields, pure natural beauties, amazing white-sand beaches, profound local cultures, exotic food, etc. Yes, surely, Bali has something for everyone. 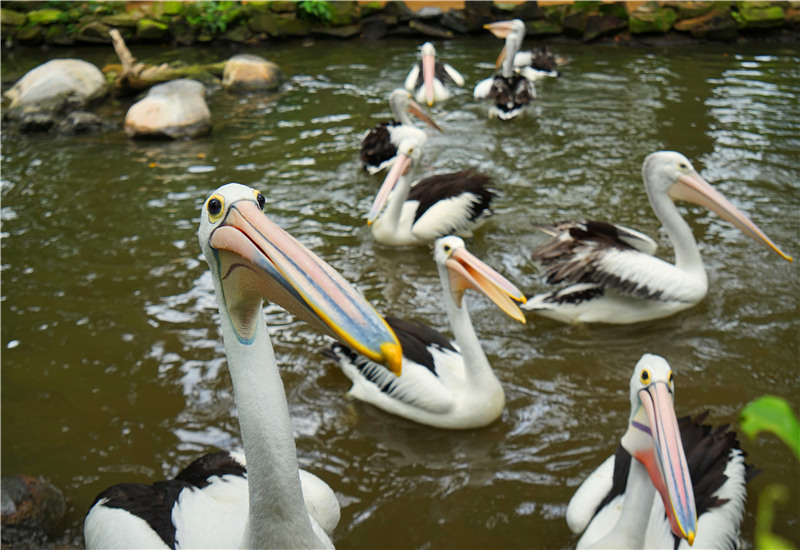 Bali Bird Park is a lush 2-hectare tropical park, home to a large collection of colorful birds from around the world and a Komodo dragon. The park is clean, well-maintained and nicely decorated with beautiful flowers, statues and fountains. Walk around the park leisurely amidst nearly 1000 exotic birds of 250 species, you can interact with birds, feed beautiful Loris, mingle with birds meandering through the park, and enjoy a close and personal encounter of them, and also click great pictures. Located in the most north-west point of Bali, the West Bali National Park has very varied landscapes such as rainforest, dry savanna, dense mangrove forest, protected sandy beaches, offshore coral reef, and a small island famous as a diving destination. With an official area of 190 square kilometers, it is home to more than 100 species of wildlife, including the white Bali Starling, which is an endemic iconic bird of Bali. 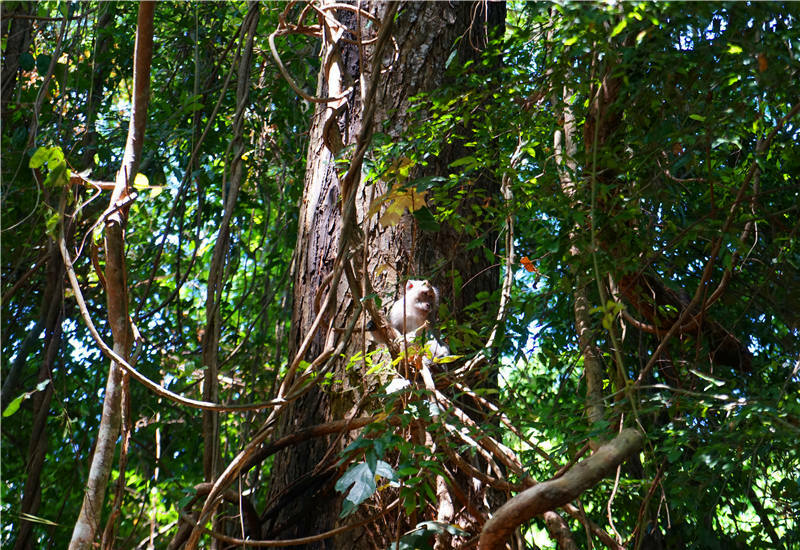 Walk in the forest, you can spot many different birds, deer, monkeys, and other exotic creatures. Alas Kedaton Temple Monkey Forest is a small but beautiful forest located in the middle of the rice fields in the west part of Bali. There is a temple named Alas Kedaton Temple, and numerous monkeys here. 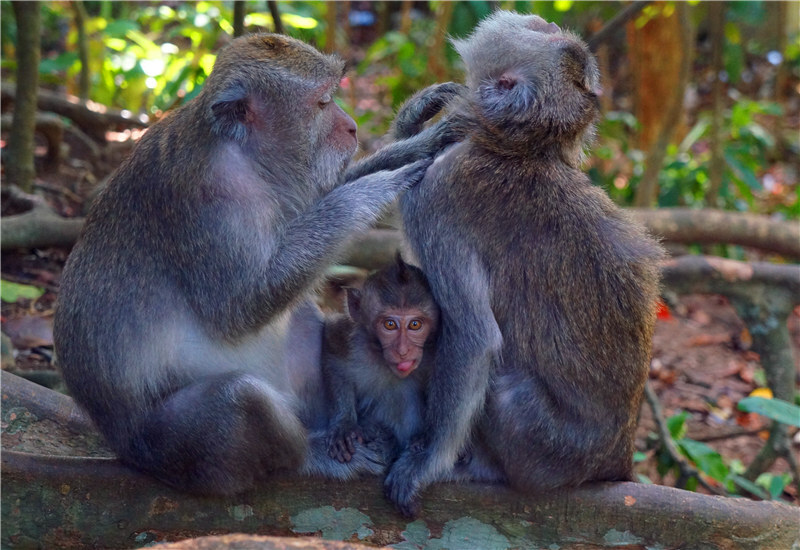 You can see tame monkeys running around the grounds, buy food to feed them, interact with them in a safe and fun way, and take great photos with them. Mount Batur is an active volcano with an elevation of 1717 m above sea level. It attracts tourists by its spectacular scenery and adventurous vibration of earth. Reaching to the peak of the mount is possible by physically fit hikers in around 2 hours. 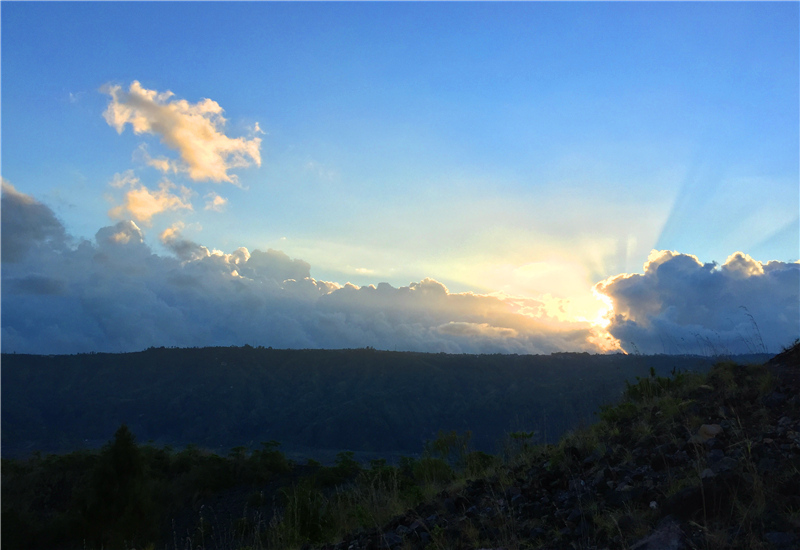 A sunrise trekking tour to the Mount Batur is wonderful option to admire to fantastic sunrise view of the mount and lake nearby. And the higher you reach, the more amazed you will be by the view. After reach to the peak, you can see lots of the steam from the volcano, which is really a heart-pounding experience. It's amazing to see the sun rising above the clouds in the Mount Batur. 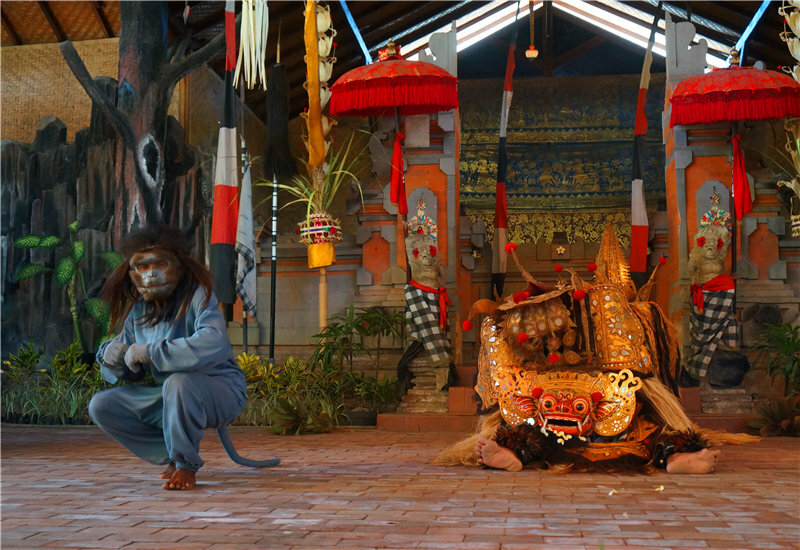 As one of Bali's most iconic dance-dramas, the Barong and Keris Dance is a traditional dance performed by Balinese people, telling the story of fighting and struggle between Barong (good) and Rangda (evil). You will enjoy the unique costumes, entrancing Gamelan music, and interesting cultural story, and also take colorful photos! 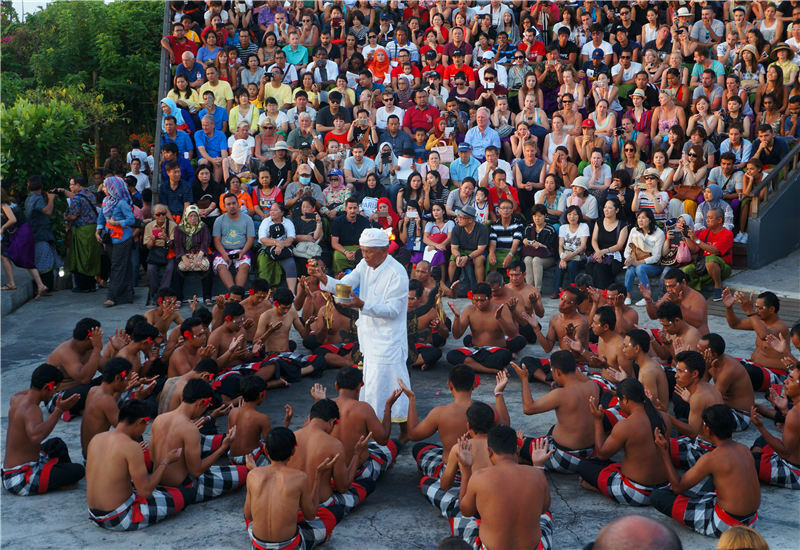 Kecak and Fire Dance is a captivating traditional Balinese art performance developed in the 1930s. The story line is a piece taken from the Ramayana, known as the Ramayana Monkey Chant, is depicted by performer wearing checked cloth around their waists, and moving their hands and arms while chanting percussively. A combination of the setting, dancing, chanting and story of rich local culture will make it a memorable experience. The performance usually starts at 6pm and end 8 pm. So you can also admire the beautiful sunset view as its background. Ulun Danu Beratan Temple (Pura Ulun Danu Beratan) is a major Shaivite water temple complex located on the western side of the Beratan Lake in the mountains in central Bali. 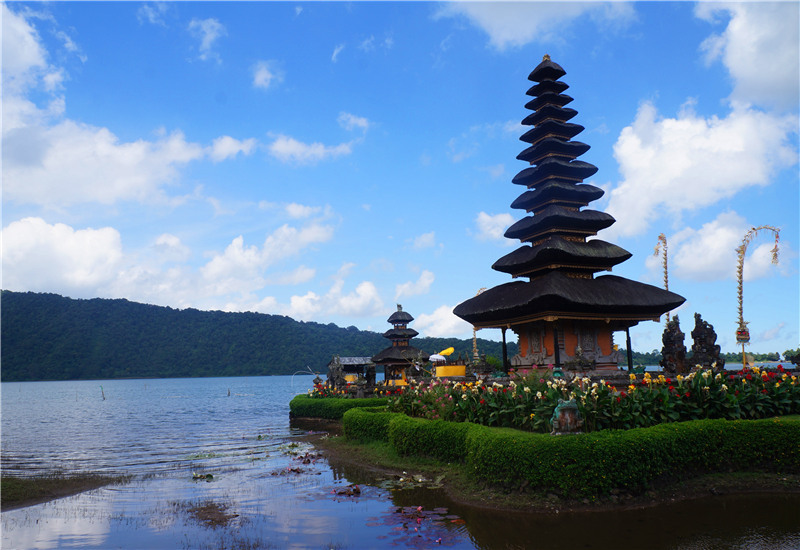 The temple is built in 1633 to hold offerings ceremony to Dewi Danu, the Balinese water, lake and river goddess. Most of its base is surrounded by the reflective surface of the lake, making it look like floating on water. The mountains encircling the lake serve as a scenic backdrop. The temple is the most iconic sanctuary in Bali with picturesque settings. Uluwatu Temple (Pura Luhur Uluwatu) is one of six significant temples which are believed to be the spiritual pillars of Bali. It is prominently located at the edge of a steep cliff of about 70 meters above sea level. It's one of the best places to enjoy the fabulous sunset views overlooking the beautiful Indian Ocean. 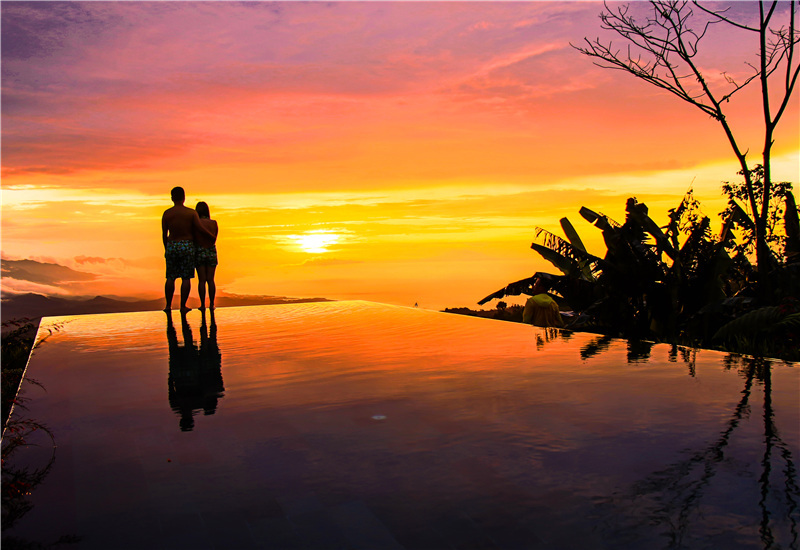 Its magnificent location, fabulous views of the sea below and splendid sunset backdrops make it like a dreamland a must-see in Bali. 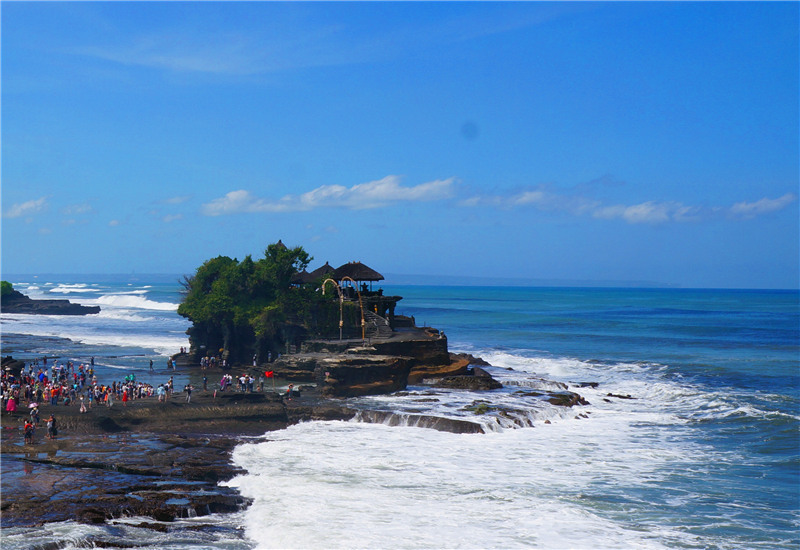 Tanah Lot Temple (Pura Tanah Lot) is an ancient Hindu pilgrimage temple siting on the top of a large offshore rock amidst constantly crashing waves. It has been a part of the Balinese mythology for centuries. Visiting this place in the late afternoon to witness the orangish sunset in the Indian Ocean while feeling the strong waves lashing on the surrounding rocks will be an awe-inspiring experience. You will be mesmerized by the beautiful changing lights (because of the sunset) there. It's the most photographed temple in Bali. Bali is also a very popular destination for relaxation and recreation as it has plenty of beautiful beaches and snorkeling and diving sites. Soak up the sun on a fine white-sand beach, dive along coral reef to interact with colorful tropical creatures, or swim in the infinity pool in the beach resorts. You can relax yourself completely and have a wonderful leisure time here.  For more information about beaches in Bali, please refer to the article: Top 10 Beaches in Bali. 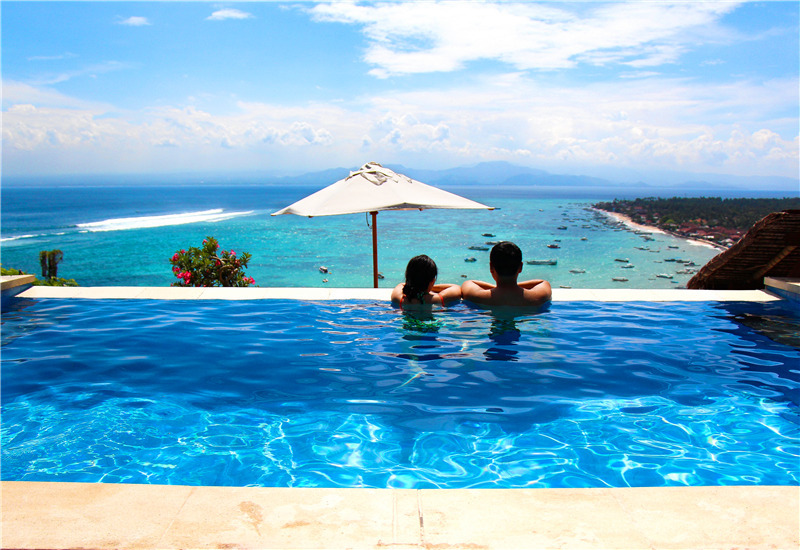 Stay in an infinity pool to relax yourself. 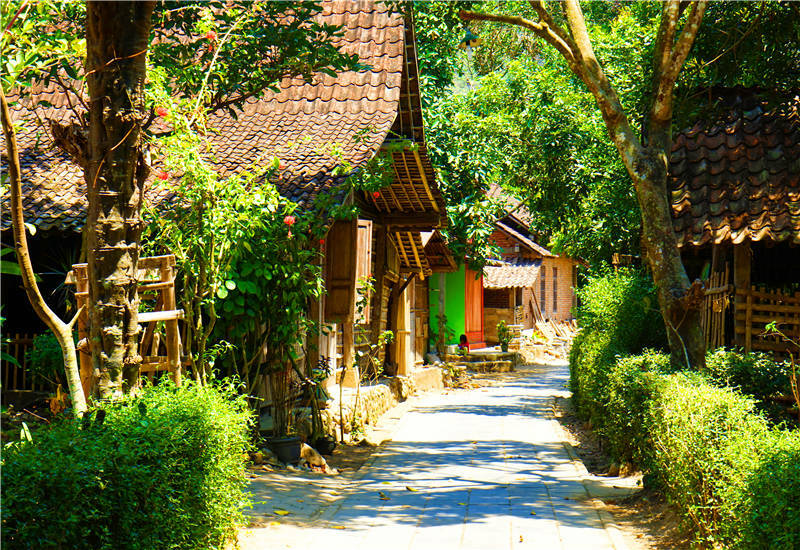 If you want to embracing the Balinese lifestyle, go to local villages, markets, street-side stalls though you can feel local lifestyle everywhere. Visit the nice Candirejo village to see how real people live in this island, how they farm their food, how they maintain their traditions, and also take a local horse cart there. Head to some night markets after sunset for a local shopping scene, where you can discover and try favorite local snacks. Bali boasts so many kinds of attractions. You can get whatever you are looking for. If you are attracted by it, just go and explore it. We are away here to help to customize a private Bali tour for you, and also reachable at at any time for any inquiry. Aside from the beautiful scenery that we see during our trips, to seek out and get a bite of some delicious food makes up a large part of a journey. Now in Indonesia, you will not only have a bite of the local cuisine, but also get the chance to taste. If you are longing for an off-the-beaten-track experience, especially in somewhere far from the madding crowds, here is for your consideration. Lonely Planet has named four destinations of Southeast Asia as the best places to go for 2017. 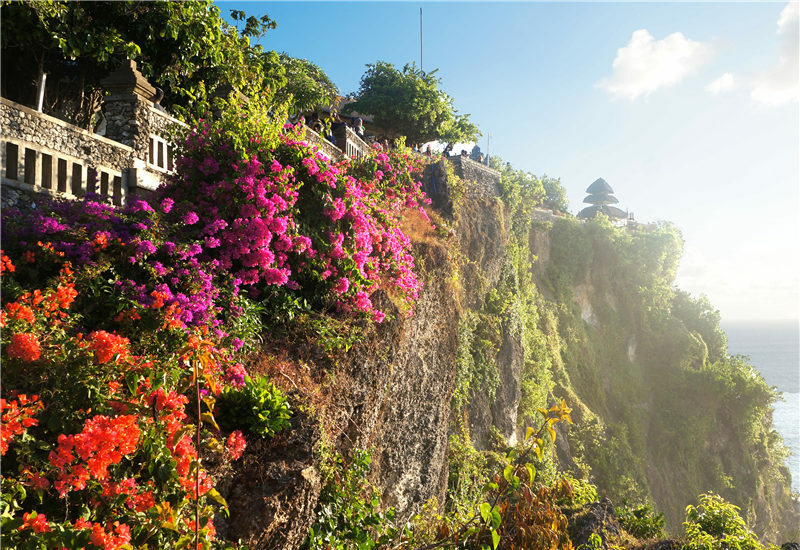 As the most famous tourist destination in Indonesia, Bali offers plenty of beautiful beaches, some of which rank among the very best in the world. But many travelers are having a hard time in deciding which beaches to visit, due to too many choices here.